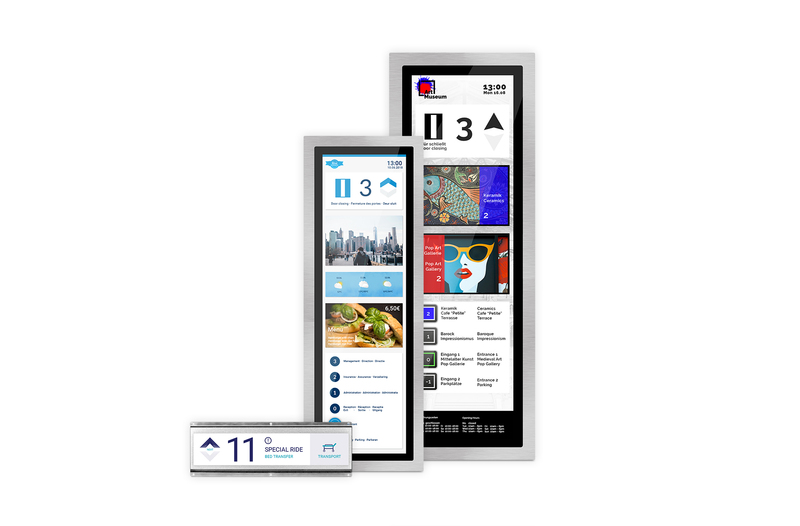 Our stretched displays are the next generation of multimedia displays in elevators. 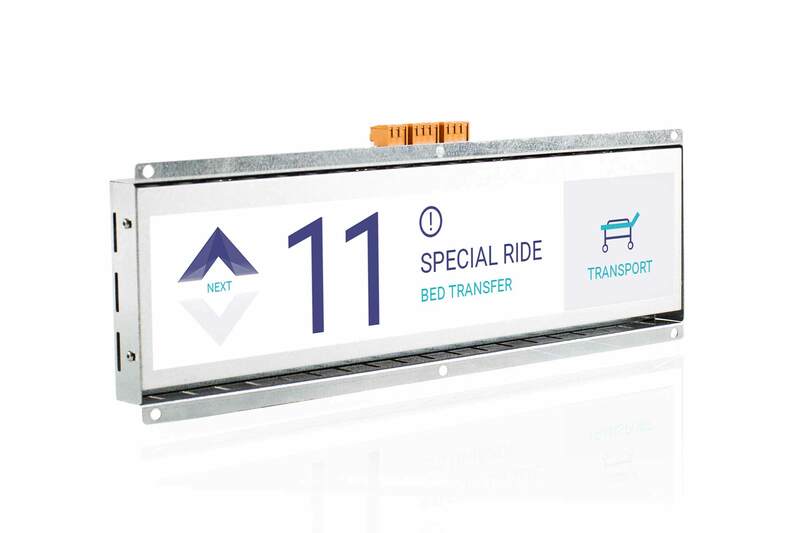 With this exceptional format and aspect ratio of 5:1 or 32:9 the stretched displays are the next generation of multimedia display in the elevator industry. This special design is ideal for the use in elevators. The extremely narrow stretched displays can be installed in places where there is no room for standard multimedia displays. The special design makes perfect use of the space in the slots of the cabin walls and can also be integrated vertically into the door frame. When the display is installed in the cabin, it meets the EN81 standard for the height arrangement of the elements without requiring a second display. 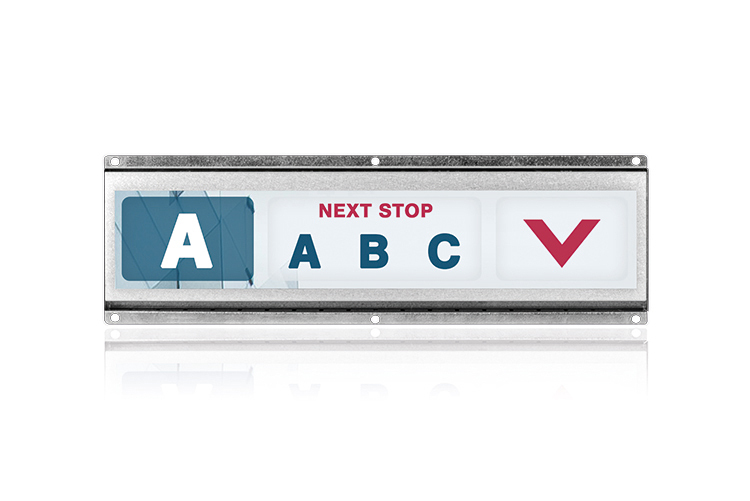 Horizontally mounted above the elevator doors, the stretched displays can be used impressively for information and entertainment of the passengers. The ultimate aspect ratio enhances the buildings spatial expansion feeling, is striking and makes exciting screen designs possible. In addition to elevator information, live stream video. 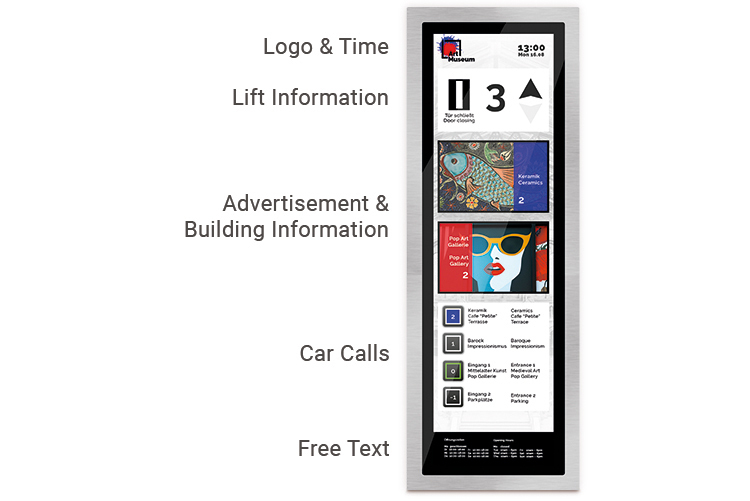 You can find on overview about the stretched multimedia displays for elevators in this product flyer.